A new printed ponte! 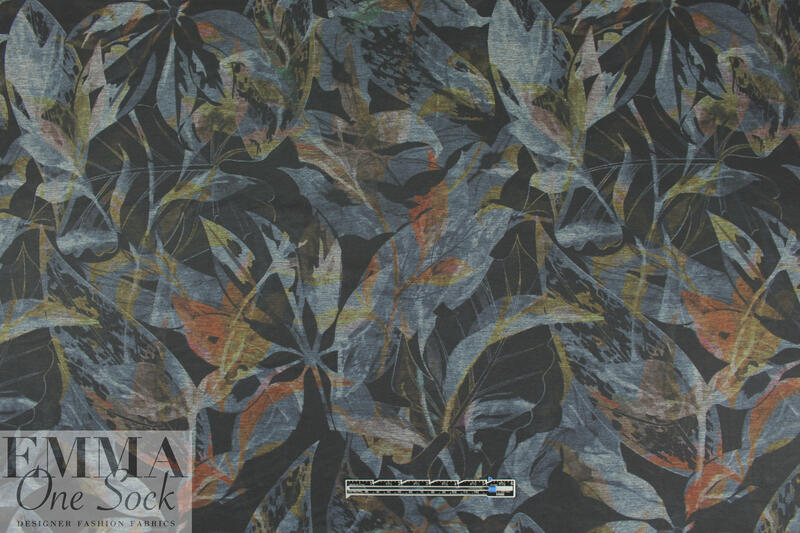 The base fabric is a beautiful quality black ponte, and the nocturnal leaves print features whispery shades of slate, earthy brown, spice, amber, etc. (PANTONE 16-4404, 18-1306, 19-1241, 14-0837, etc.). 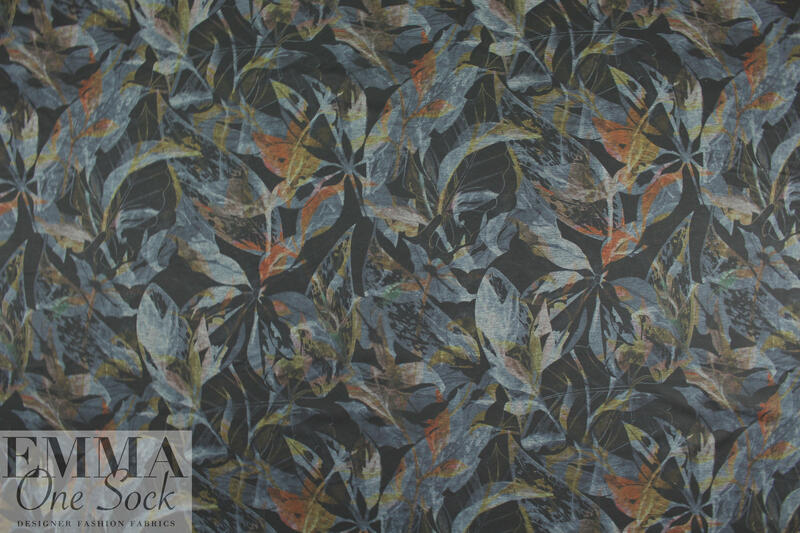 The print comes up darker and subdued because of the black base color on which it is printed. 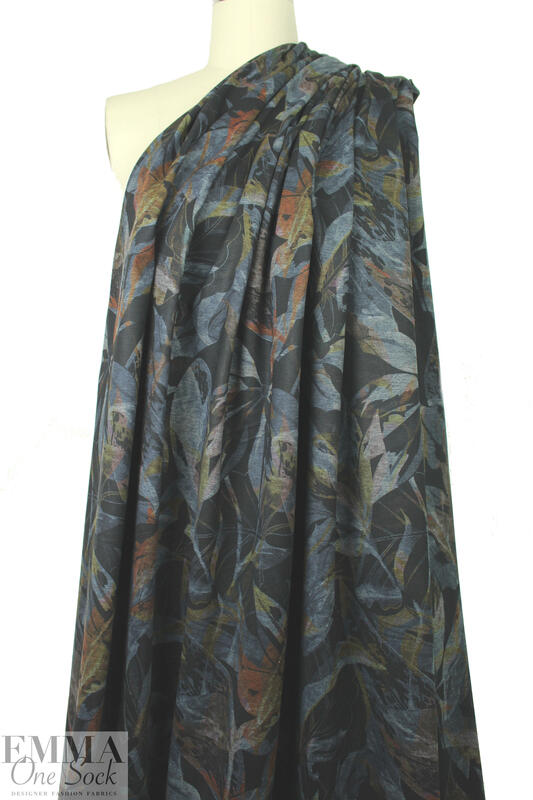 This perfect medium weight ponte has about 35% stretch in the width, 15% in the length, with great recovery. There's no bleed through to the reverse side, so it makes an excellent solid contrast color! 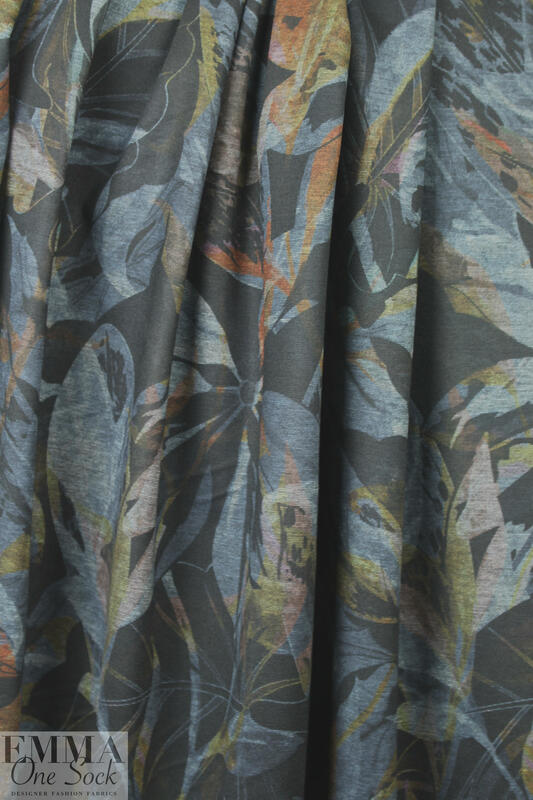 This fabric has lovely drape with substance and body, perfect for fashion-forward skinny pants, body hugging knit dress, tunic, skirt, knit suit, etc. Manufacturer recommends machine wash, tumble dry low, or dry clean. No bleach.